Rava idli is an easy and instant option over rice idli. 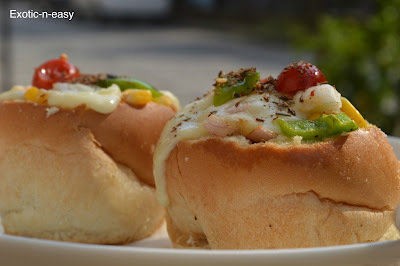 This recipe is a good breakfast option or a filling snacks which can be served to our guests. This is full of vegetables and made by using very less oil so overall this is a very colorful and healthy option. Mix all the ingredients for idli in a bowl except eno. Make a smooth batter keep it aside for 20 min. Take an idli tray and grease it with oil. Now add Eno to the batter and pour this batter on an idli tray. Steam it for 15 to 20 min. Once idli is ready, remove it from tray and dice it into pieces. Next take a kadai add oil to this, then add mustard seed and curry leaves. Now saute sliced onion, once the onion is done add beans, red, yellow and green capsicum to it saute it for 2 to 3 min then add cabbage and spring onion to it. Time to add salt to vegetables and at last rava idli. mix it well with vegetables. Serve it hot with chutney of your taste.